Ana SayfaBELIEF IN ANGELS15- Do Angels have a real influence on their duties? 6- The existence of one angel proves the existence of the species of angels. 7- All of the evidences that prove the existence of Allah also prove the existence of angels. 8- Angels are the representatives of the glorifying beings. 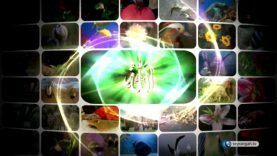 10- All of the evidences that prove the prophethood of the prophet Muhammad (Peace be Upon Him) also prove the existence of angels. 11- All of the evidences that prove the Qur’an is the word of Allah also prove the existence of angels. 12- What were angels created from and what are the duties of Angels? 14- Does Hazrat Azrael take away the spirits of every person by himself, or does he have anyone who helps him? 15- Do Angels have a real influence on their duties? No cause or agent, including angels, has a real influence. Power and strength belong only to Allah. And it is the endless strength of Allah that does all works. Angels and other causes are only servants in charge of declaring and spreading the real power which is coming from that strength. So, angels and causes are like the clerks of a government that convey the orders coming from the higher authority. -Your servants will be vexed at me and complain about me when I carry out my duty of seizing the spirits of the dying. Yes, illnesses and calamities are a kind of curtain to Hz. Azrael and a resort to the complaints for awfulness that are thought to be coming from death. Similarly, Hz. Azrael is also a veil to the strength of Allah Almighty and so appointed with that duty in order to divert those complaints towards him and be a resort to some events that are seemingly unmerciful and not appropriate to Allah’s mercy in the event of seizing the spirits. Yes, dignity and grandeur require that causes are curtain-holders to the Hand of Power in the mind’s view, while Divine Unity and Glory demand that causes draw back their hands from the true effect. 4- The Agreement of Experts on the existence of Angels proves the existence of them. 2- The Book of Universe was written to be read.